Life insurance policies are not a one-size-fits-all approach. As you go through life, your insurance priorities will likely change, just as you hope your lifestyle priorities will evolve. From paying off the mortgage and getting the kids through school to thinking about your retirement and leaving a legacy, your life insurance policy can be tailored to each one of these priorities, among others, as they come. Being young and in love today is a very different story from your grandparents’ or parents’ romantic early years. When your parents were your age, only 3% of couples were playing house before walking down the aisle1. Today? The majority of us are renting or buying properties together well before we decide to tie the knot1. And with no kids to look after, couples with combined incomes often have more cash to splash. They have a higher weekly disposable income than any other household2. Young couples in their late twenties and through their thirties are looking at a new set of financial commitments. Whether that’s buying a house together, paying off a family car or saving to start a family. Your weekly housing costs are considerably higher than for other Aussie households. Almost half of you own your home with a mortgage, while 47% of you are renting2. Being together is marvellous. Your lives are becoming more intertwined. But there will also be consequences from your growing interdependence. You’re used to that disposable income, so if one of you were to fall ill, become injured, or pass away, that diminished income is going to take some getting used to. It may become a significant financial burden. Not to mention the emotional cost! If one partner in a relationship suddenly lost his or her income, the other may be faced with meeting the same daily expenses – and trying to maintain that laissez-faire lifestyle – on their own income. There’s no doubt your household will start to feel the pinch of the reduced income. At this stage, you’ll want your life insurance policy to be about protecting that income you rely so heavily on so you can keep up the rental or mortgage payments, the ongoing household bills, and any other debt repayments you and your partner face. Total and Permanent Disability (TPD) cover may be particularly relevant to you to help protect your lifestyle if you become seriously ill or injured. It offers a lump sum payment you can put towards paying out debts and meeting your daily needs. If you are totally and permanently disabled you may also need specialist daily care or modifications to your home to cater for a wheelchair for example. This is such an exciting time in your life, welcoming new additions to your family. Holding your precious new family member in your hands for the first time will be a memory you’ll always treasure. But you’re also going to see some other drastic changes in your lifestyle. What with the costs of nappies, baby toiletries, constant clothing upgrades to fit those growing bodies and then, all too soon, school uniforms and other fees, that disposable income of yours may drop dramatically from what you were used to as an unencumbered couple. No longer will you be spending money on luxuries and recreational activities. Instead, you’ll start focusing on discretionary spending: those bare essentials such as groceries, child care, health insurance – and life insurance. Financially, you may be trying to be more flexible. With one parent possibly decreasing their work hours or leaving work altogether to become the primary child carer. On top of all that, more of you will have moved into your own home with a mortgage, rather than renting from a private landlord2. It’s all about building your first family home. Your responsibilities have bloated substantially since that first child came along. And your life insurance needs are no longer based on just your needs – your thoughts are about protecting the family unit, and your children’s comfort and security. In the event of an illness, injury, or a death, your overriding concern may be that your family’s lifestyle and wellbeing remains the same. In the event of an illness, injury, or a death, your overriding concern may be that your family’s lifestyle and well-being remains the same. Something to think about at this stage in your life is the value of stay-at-home workers. These parents act as cooks, child carers, cleaners, chauffeurs, and tutors for the whole family. And if they found themselves, through injury or illness, unable to do these ongoing duties, the work would fall on professionals – and the costs on the family. An ideal life insurance policy for a young family would be aimed at protecting the comfort of the parents and the kids. This is a stage in your life where having the triple-protection of Life, TPD and Trauma insurance can pay off. This kind of policy covers all eventualities, to help your family be protected if you lost your income through illness, injury or even death. The types of illness, injury and manner of death covered may vary with different insurance products. Make sure you do your research and read the Product Disclosure Statements before you decide on a particular product. Your main priorities may be to ensure the mortgage and credit card debts are met, the bills paid on time, and the kids’ school costs and extra-curricular activities are covered should you find yourself with a reduced income. And remember – you may want to check that both parents are protected, regardless of who the primary breadwinner is. This is what we like to consider the ‘home-stretch’ of parenting. For mature couples, the kids are often all but grown-up. They might even be enjoying their own employment. Even so, older kids – even adult kids still living at home – can put a strain on the household budget. On average, adult kids aged 18-24 cost more than $700 per week. A child aged 10-14, who costs an average of $244 per week3. It might be because of higher food bills or recreational activities. Your housing costs may not occupy such a large amount of your income anymore. 51% of mature couples with adult children owning their home outright2. With the house (hopefully) paid off, you may be able to focus more of your household expenses on recreational activities. You might also become more forward-thinking, looking to a time when the kids have left the nest. This may include focusing more attention on financial planning for your retirement. Your chances of suffering a heart attack or being diagnosed with cancer increase when you enter your late forties and fifties. Life insurance for this stage of life is all about protecting your future, and that of your family’s. You’ve worked hard to get to where you are today, so you’ll want to make sure that wellbeing and financial security is a priority. It might be clear that you’re not as young and sprightly as you once were. There’s no shame in ensuring you’re covered for specific conditions relevant to your age group. After all, your chances of suffering a heart attack4 or being diagnosed with cancer5 increase when you enter your late forties and fifties. As your body grows more susceptible to injuries and illness, you may want to check that your life insurance policy includes Trauma cover. This type of cover includes benefits for a whole range of conditions, including coronary artery bypass surgery, heart attack, stroke and certain types of cancer. If your adult children still living at home are also contributing to the household bills or paying board or rent, it may be worthwhile ensuring they’re also covered with an insurance policy, so you don’t foot the bill should they find themselves injured or ill and unable to earn an income. It’s time to pop the bubbly, because the kids have moved out! Congratulations are in order. Now’s the time to enjoy the life you’ve been saving for and fully embrace the golden years. With the kids now independent, you can enjoy a solid increase in your weekly household expenditures2. Meaning you can pursue all those hobbies you’ve never had the time or wealth to consider before. Some 83% of you will have paid off your mortgage. The rest will devote just 11% of total spending to housing costs2. But you’ll also see a corresponding decrease in your income as you enter retirement. Two in every three couples will rely on pensions and allowances as a primary source of income in 2009-20102. And now that the kids have finally left the nest and have their own kids to take care of. Do you really need to keep paying for life insurance every month? Your financial commitments might have decreased as you’ve gotten older, and your financial wealth increased as a result. While you might think that your super fund is enough to take of urgent matters, it can make sense to protect what you’ve built: your superannuation, your liquid assets, and your estate. 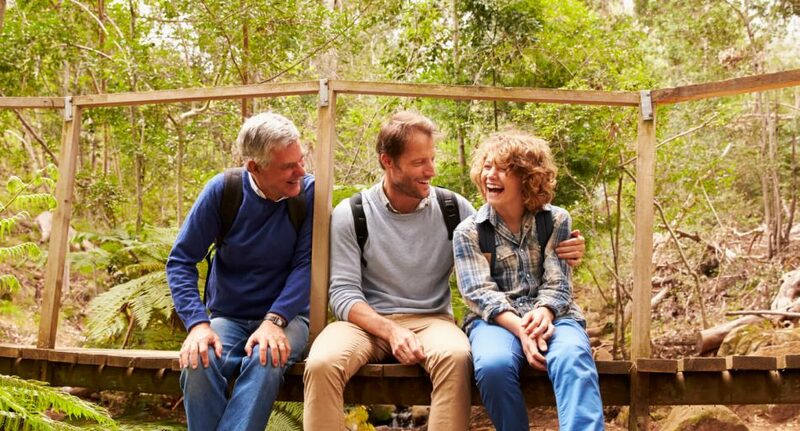 Your life insurance cover may not need to be as comprehensive at this late stage in your life, but the cover can still help protect the ones you love. A life insurance policy can act like a buffer against their financial stress. Providing a financial benefit for medical costs, grief counselling, funeral costs, and terminal illness health care, among other things. Having a life insurance policy can be a smarter way to protect your assets. It provides money to leave behind for family, and cover aged care costs for your partner when the time arises. It’s easy to think that once you’ve sorted out your life insurance, it’s as simple as set and go. But as your life circumstances change, so too should your life insurance policy. Protecting the ones you love doesn’t have to be difficult. It’s worthwhile reviewing your insurance cover every few years or whenever an important new circumstance in your life arises. It could be moving in with a partner, getting married, having your first child – or your third. It could be a divorce or an impending retirement. Whatever happens, if you’re fully covered you and your family can enjoy the full potential of your policy.